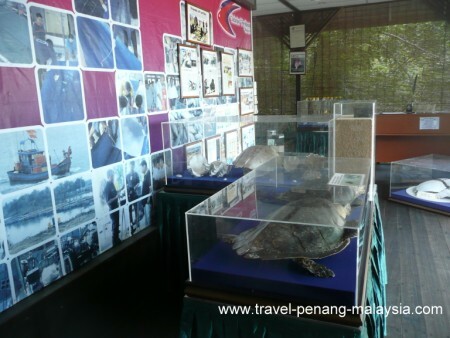 The Penang Turtle Sanctuary is located on Pantai Kerachut (Kerachut Beach) in Penang National Park and was set up to help protect and preserve the dwindling populations of Turtles in Malaysian waters. Various species of Turtles come onto the beach at night to lay their eggs which are then protected from predators (including humans) until they hatch up to 60 days later. Green Sea Turtles can be seen coming up on the beach at Pantai Kerachut to lay their eggs from April and August. While the Olive Ridley Turtles come here during the months September to February. Once the eggs hatch, the Turtle Sanctuary then keeps the young turtles in small ponds until they are old enough to stand a good chance of survival in the wild before they are released, thus increasing the chances of the babies making it to adulthood and coming back to their birthplace to lay their own eggs in the future. Opening Hours: Daily from 10 am to 4.30 pm (closed for lunch between 1 pm and 2 pm). Camping on the beach is strictly prohibited so as not to disturb the Turtles egg laying, but there is a campsite a short walk away where you can stay overnight. 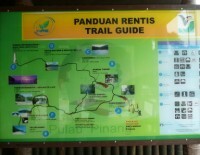 To get here please view our Pantai (beach) Kerachut page, where you will find information about trekking here or taking a boat. 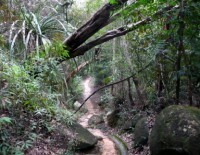 Or you can view National Park Trekking Map here. 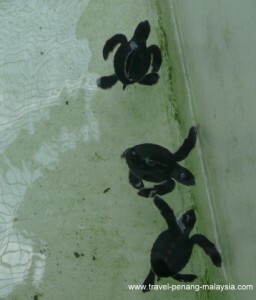 If you are lucky you will get to see some baby Turtles like these baby Green Turtles in the picture above. 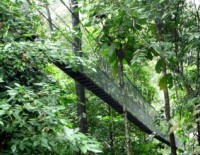 Please visit our National Park page or our Penang National Park Photos page for a general overview of the park.